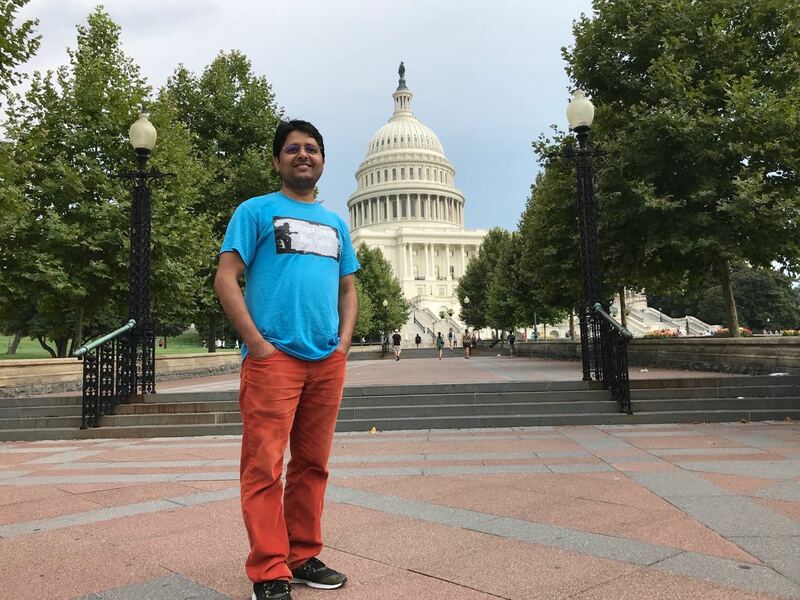 I had a wonderful experience in DC during Summer 2018. 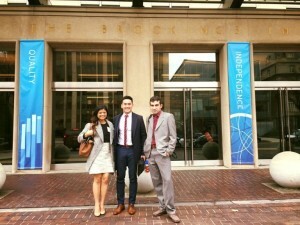 I completed a course “Who Will Rule the 21st Century” as a part of the Washington Summer Practicum. 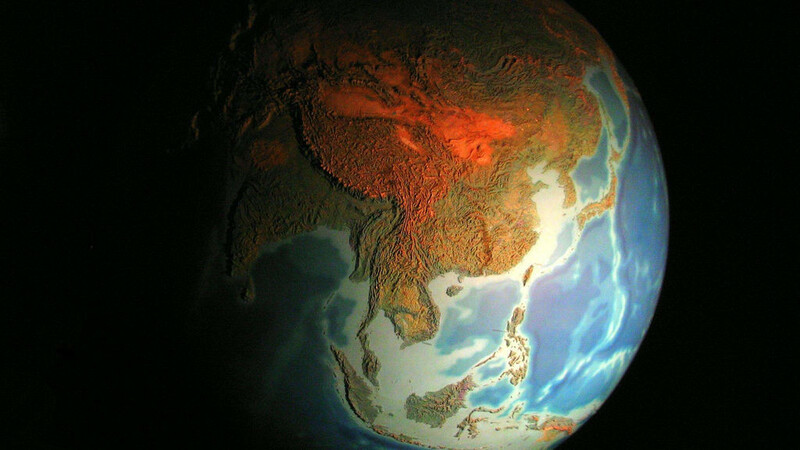 The course advanced my knowledge and skills in the areas of economic success, military strength, the rise and fall of great powers within the international system, and global threats to human beings such as global warming and nuclear proliferation. 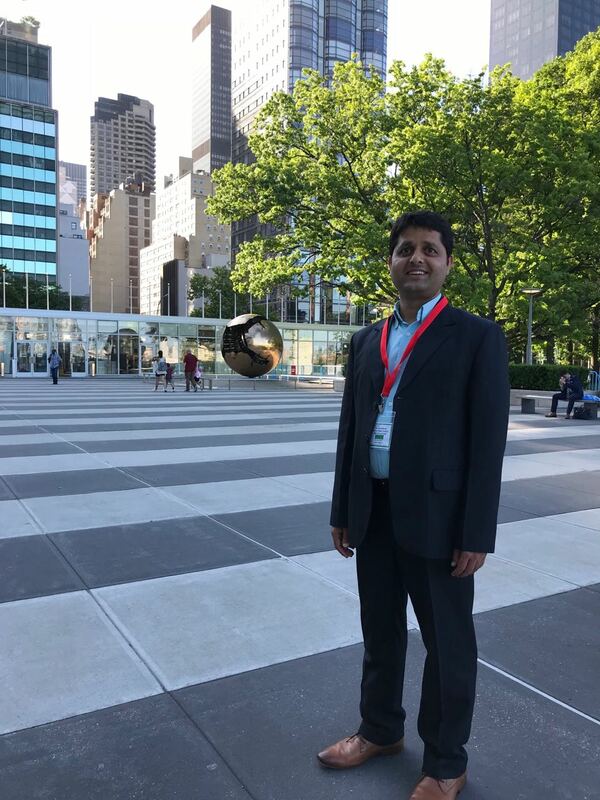 Since the classes were in the evenings, I had ample time to participate in different conferences and workshops organized by the World Bank, United Nations, different developmental organizations, diplomatic offices, and policy institutions. 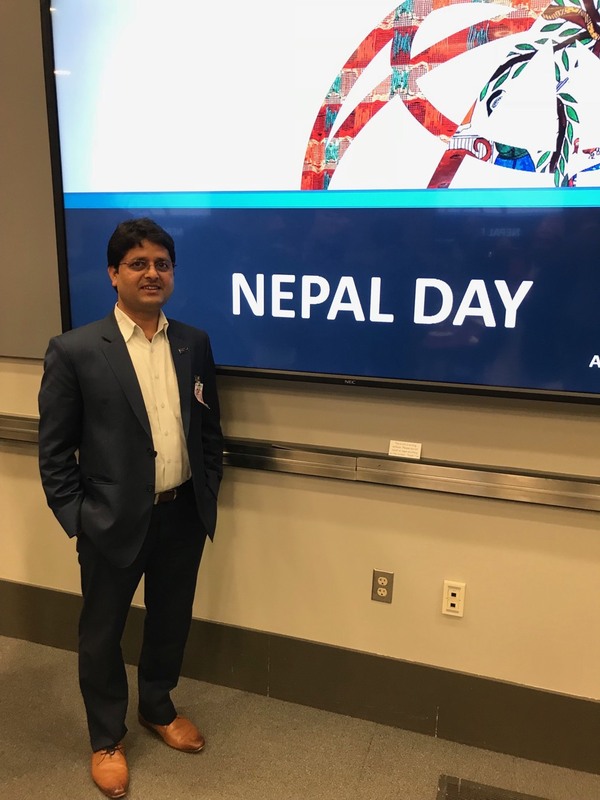 The two conferences at the World Bank – Annual Bank Conference on Development Economics (ABCDE), and the Nepal Day workshop – were imperative for me. 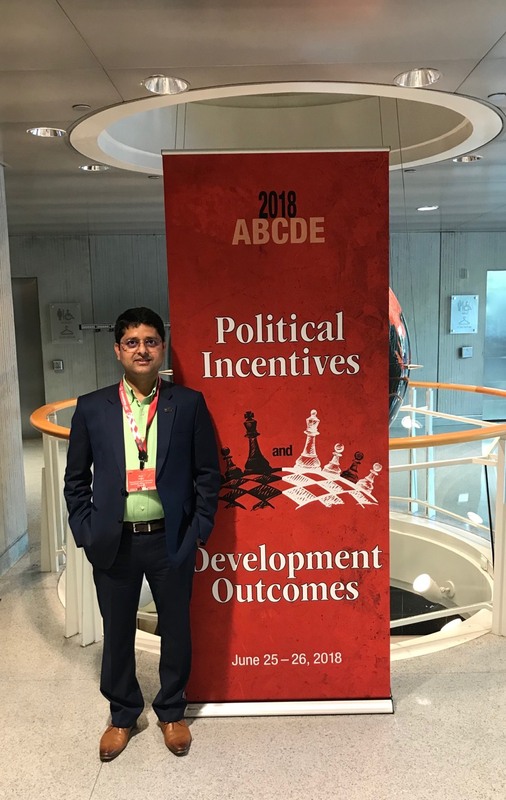 The ABCDE conference helped me to expand my understanding of political economy. The Nepal Day workshop was focused on economic and developmental agendas on Nepal in the context of the changing political situation and the recently formed government. 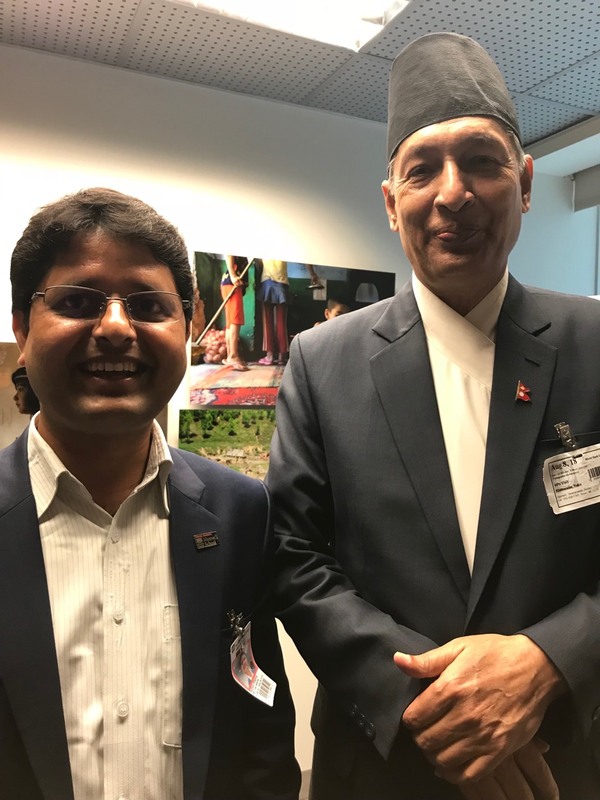 The Honorable Minister of Finance and other senior government officials from Nepal, other countries, regional representatives of the World Bank, and senior officials from various development partners and donors’ organizations participated. It offered me an opportunity to analyze closely how the world bank works with developing countries. 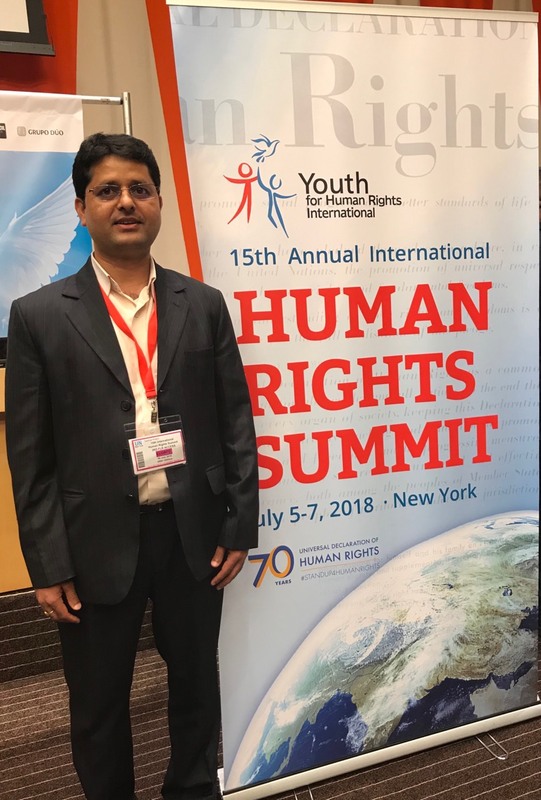 During the summer, I also participated in a three-day International Human Rights Summit at the United Nations Headquarters in NYC, which was organized by Youth for Human Rights International. Interacting with participants from different parts of the world was an awesome opportunity for me to be updated with the current human rights scenario and challenges worldwide. Similarly, at the NAFSA Education Abroad Regulatory Summit, I had a chance to be familiar with the US government’s policies and regulations related to study abroad. 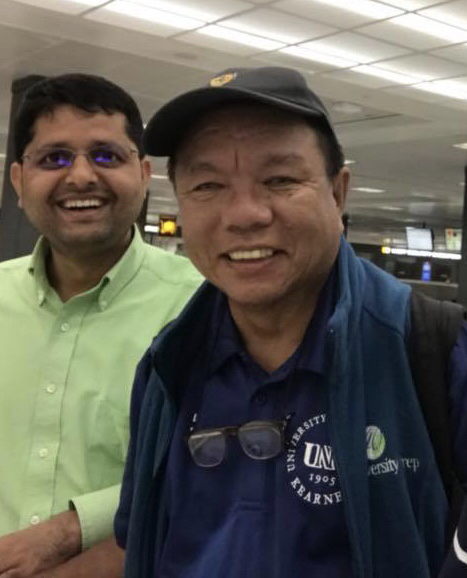 Interaction program with Magsaysay Awardee, Mr. Mahabir Pun on Sustainable Economic Development through Technological Innovation in the Developing Countries was an incredible workshop I participated in this Summer. 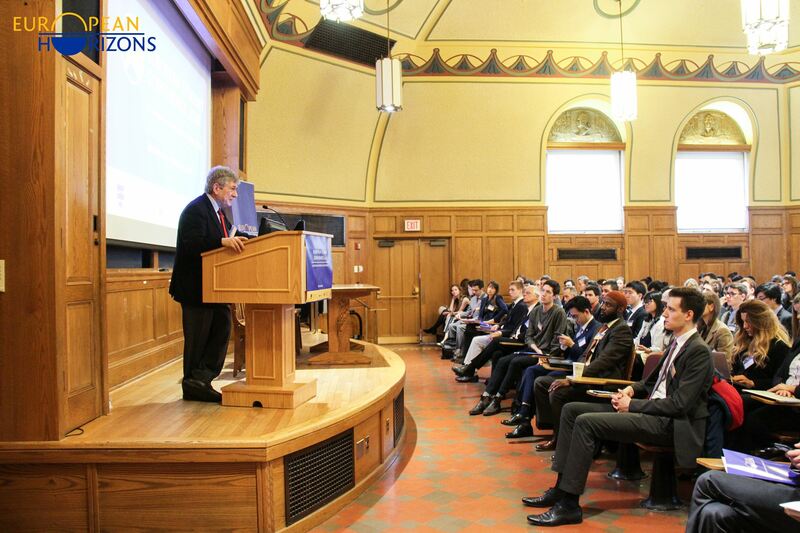 Others include the various events organized by Center for Global Development (CGD), the Brookings Institution, Center of Strategic and International Studies (CSIS), Third Way, International Development Institute, Young Professionals in International Education (yPIE), Together for Human Rights Campaign, and special workshops organized by Maxwell-in-Washington, Maxwell Alumni. 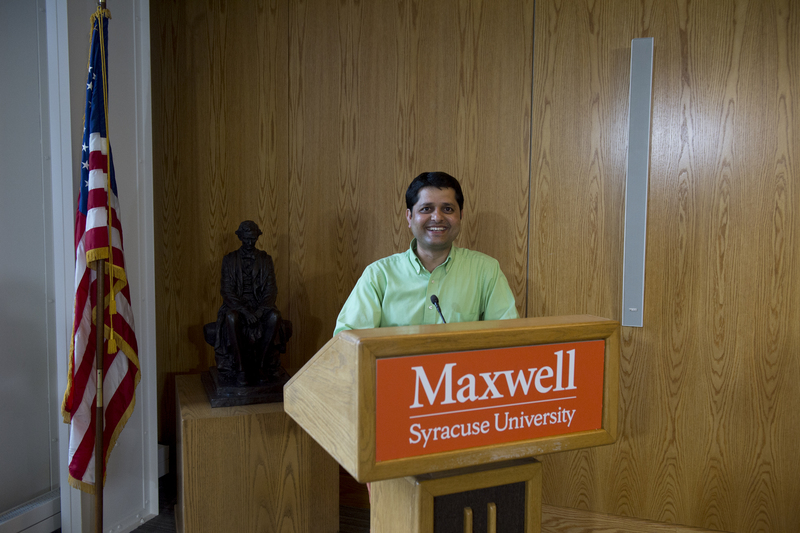 I would like to express my gratefulness to the team of the Maxwell School and the Maxwell-in-Washington program, professors, Maxwell alumni and funders for their generous support. For me, it was more about networking plus events this summer. 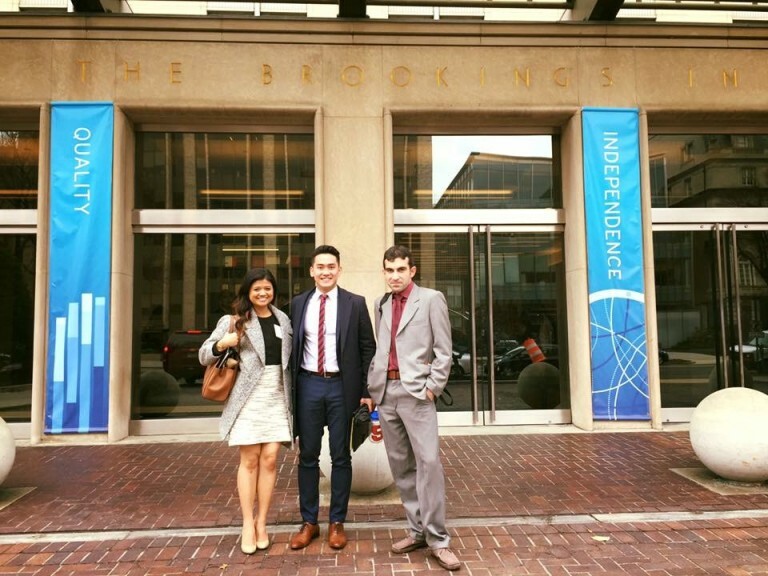 Khem Sedhai is a MAIR student currently interning at InterAction in Washington, DC. 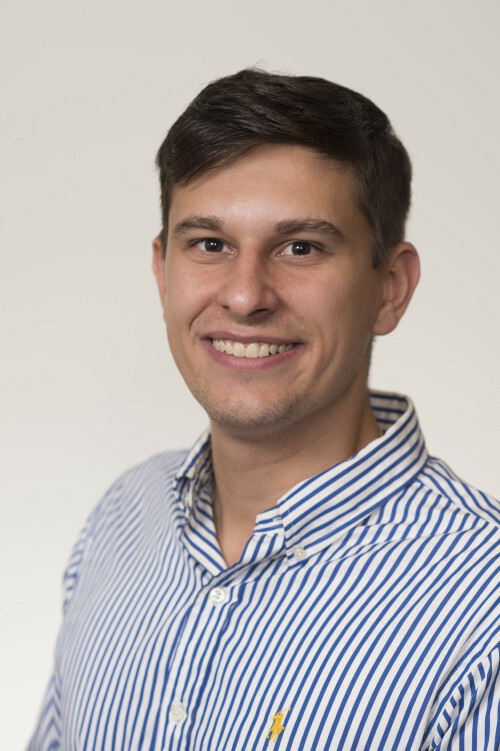 Kevin Oswald is a recent alumni of the Atlantis Transatlantic Dual Degree program, completing an MAIR degree from the Maxwell School and an MPP from the Hertie School of Governance in Berlin. 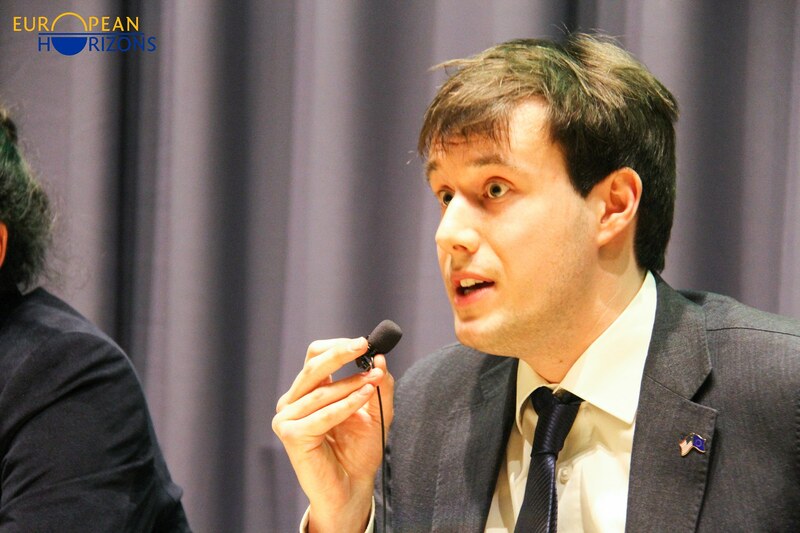 He also completed internships at the Embassy of the Federal Republic of Germany in Washington D.C. and Agora Energiewende in Berlin during his studies. 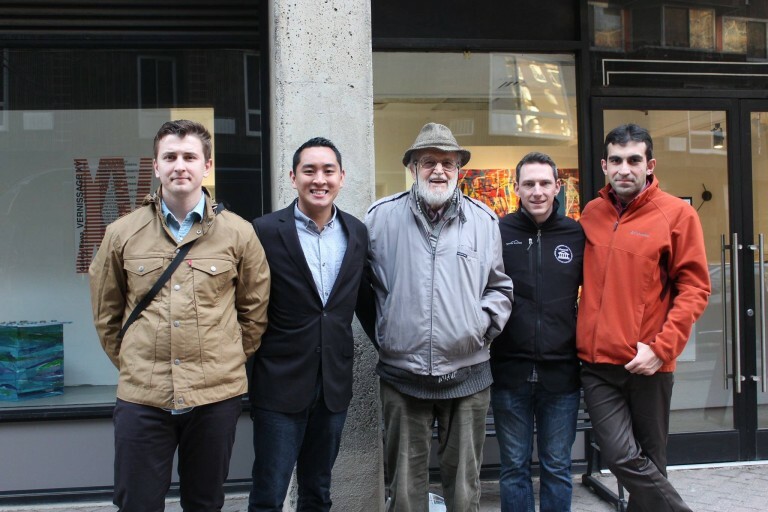 From March 29 to 31, 2018 I had the opportunity to participate in the European Student Conference (ESC) 2018 at Yale University in New Haven, Connecticut. ESC is a conference organized by European Horizons that brought together 100 undergraduate and graduate students from universities across the United States, Europe and Asia with distinguished academics and seasoned policy-makers in order to address some of the challenges confronting the European Union. 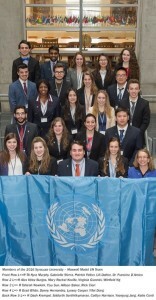 Prior to the conference, students from different parts of the world and with different academic backgrounds, had been divided into groups, according to their knowledge and interests, in order to deal with the following challenges in six workshops related to: Energy, Technology, EU-China, Democracy, National Sovereignty and Security. Each group then made an effort to develop policy recommendations with regard to their topic and during the conference those proposals by the students were discussed with decision-makers and renowned academics. 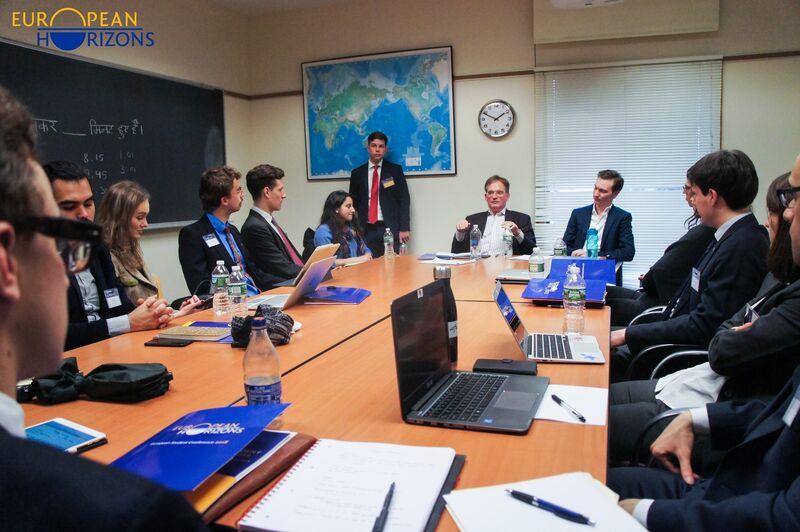 This year, ESC hosted representatives from business, politics and diplomacy, such as the former President of the European Parliament, Enrique Barón Crespo, as well as several academics from US universities. As a student enrolled in the transatlantic ATLANTIS dual-degree Master program in International Relations and Public Policy offered by the Maxwell School and the Hertie School of Governance, I am particularly interested in foreign and security policy as well as in energy and climate policy. Therefore, I took part in the energy workshop and together with fellow students worked on the issue of the EU’s dependency on energy imports, particularly natural gas, in order to meet its demand. Given the fact that a high proportion of imports is concentrated among relatively few partners, the security of the EU’s natural gas supplies may be threatened. Our team provided a solid analysis of the status quo and presented several policy recommendations with the primary goals to diversify supply sources (new pipelines, interconnectors, LNG etc.) and to utilize soft tools, which, for instance, might require setting up an EU Energy Diplomacy Task Force to deal with delicate pipeline projects such as Nord Stream 2. I was impressed with the expertise and dedication of our group and look forward to seeing our recommendations being published in the Review of European and Transatlantic Affairs, a journal that will be distributed to university libraries across Europe and the U.S., as well as to European decision-makers. In sum, ESC 2018 has been a wonderful experience and I truly enjoyed the opportunity to work with fellow students that all have a passion for the EU. In addition, I hope to become part of the international ESC network that links thinkers and leaders from both sides of the Atlantic and beyond. Today we would like to showcase the work of Maxwell student Carol Marina Tojeiro. 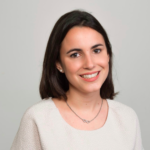 Carol wrote a piece on gender inequality in the labor force in Argentina that was recently published in the Cornell Policy Review. The article discusses the significance of this issue in terms of Argentina’s economic growth and offers policy recommendations. Carol is a dual MA in Economics and International Relations candidate who will graduate this spring. Her experience at IOM in Ghana was previously featured on this blog. Female participation in the Argentinian workforce is limited, as men comprise 75% of labor force participation, compared to just 41% of women, according to a 2016 study. While women represent a majority of Argentina’s highly educated population, various influences such as religion and traditional expectations of women and men, as well as limited options for childcare have pushed women out of the workforce to the detriment of the Argentine economy. To improve women’s access to employment and increase workforce productivity, the Argentine government must design and adopt inclusive gender-sensitive public policies, address social unrest, and measure the impact of such policies in addressing gender equality. 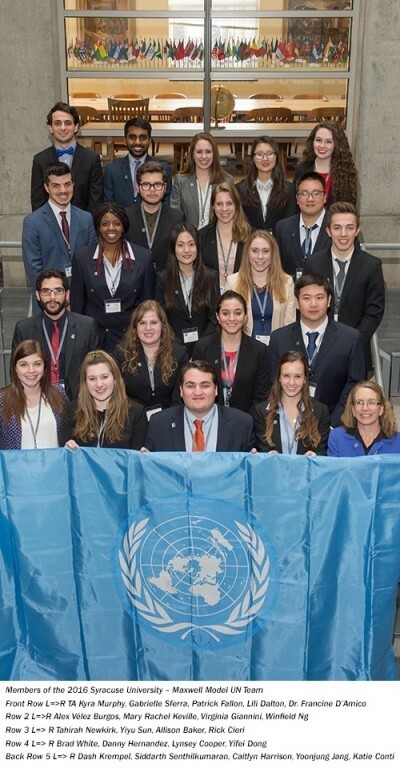 Kyra Murphy was mentioned in a Syracuse University News article as a contributor to the Maxwell undergrad Model UN team’s success. 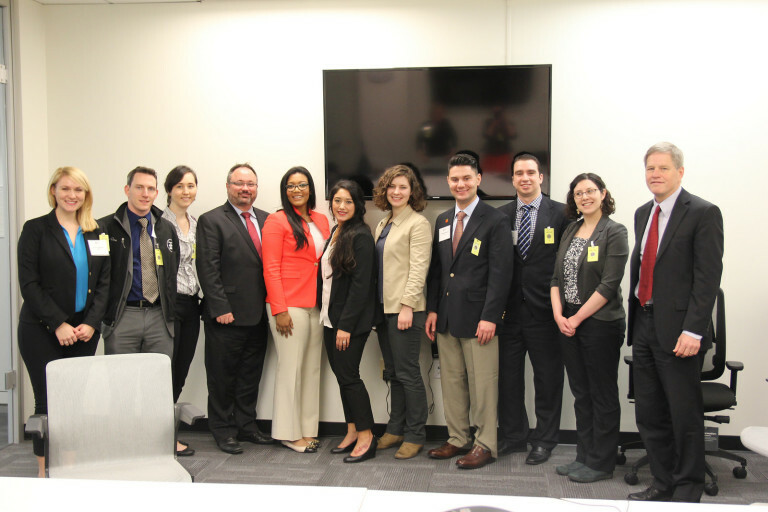 Read more about Kyra in her blog post: Kyra Murphy, Learning from Her Supervisor at National Security Network. Over the course of Spring break, Maxwell students had the great opportunity to visit various sites and attend coffee chats with alumni. 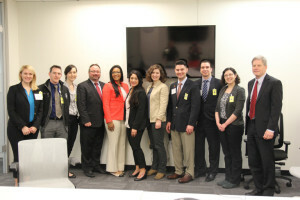 They connected with people who worked at various organizations in Washington, DC and New York and learned a lot about opportunities in different fields. 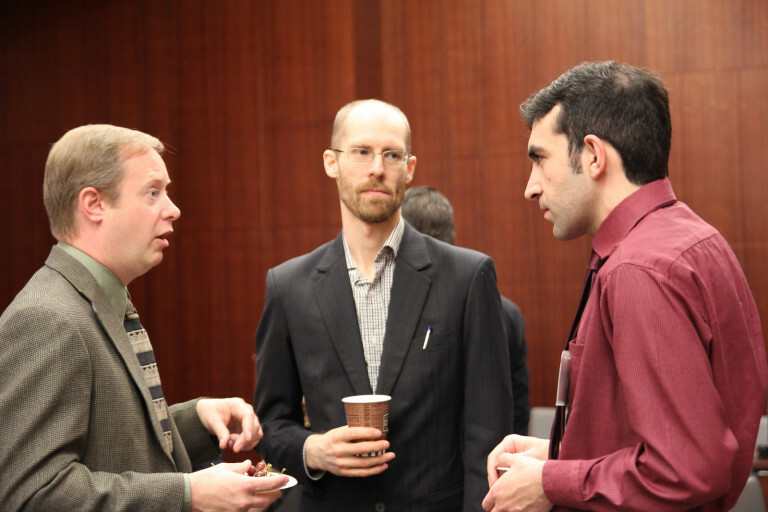 There is no doubt that this unique opportunity helped Maxwell students to consolidate their careers. 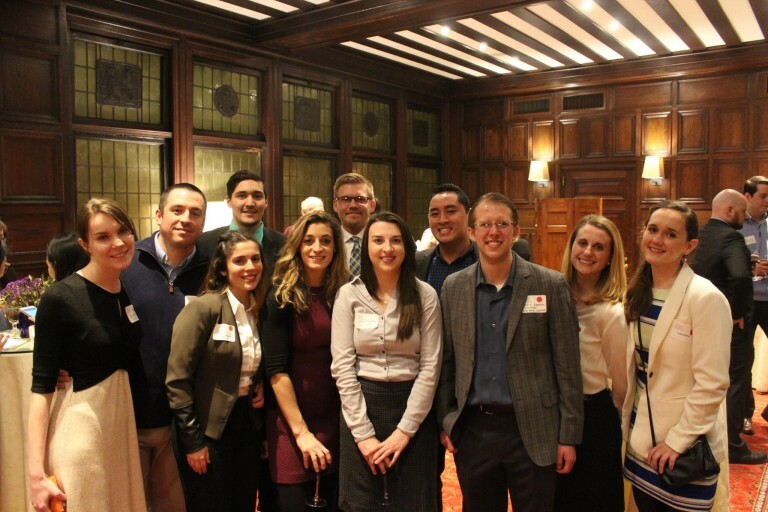 Over the course of our spring break, approximately 60 members of our cohort traveled to Washington, D.C. and New York City to network and connect with Maxwell alumni who work in various professions in the public, private, and nonprofit fields. This article is published on the PAIA Insider blog. On Saturday January 30th, Mark Temnycky wrote an article on the topic of “Ukraine” versus “the Ukraine,” and the implication of the three letter word in post-Euromaidan Ukraine. On Tuesday, February 2nd, Mark experienced an honorable moment. Forbes contacted him – they published his piece! The Polish term Ukrajina, or “the borderland,” first emerged during the 16th century when the Ukrainian lands were incorporated into the Polish–Lithuanian Commonwealth. By the 18th century, the French introduced l’Ukraine, and the article stuck. The usage of “the Ukraine” then became most popular when it was a territorial entity of both the Russian Empire and the Soviet Union. But why does the article matter? 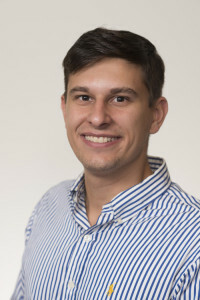 Mark Temnycky is a Ukrainian–American student, pursuing a joint MPA/MAIR degree at the Maxwell School of Citizenship and Public Affairs.